One of the more interesting thing DomiNations players (on both iOS and Android versions) have noticed is how many bases seem to have three catapults. Usually, you’d only be allowed two, so it’s common to hear complaints accusing these players of shady tactics. However, it is really possible to have more than two catapults in this game, and with that having been said, our latest DomiNations strategy guide will tell you how you can build three catapults without having to cheat or hack the game. Yes, it is possible, and no, it isn’t cheating to have more than two catapults, and we’ll tell you why in a bit. 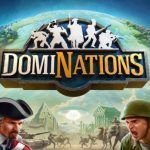 But first, what is DomiNations, for the benefit of those who are just joining us? 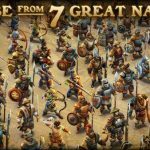 As we’ve said in many of our previous DomiNations tips and tricks listings, this iOS and Android game is a historical-based strategy game from NEXON M, designed by Brian Reynolds, who’s best known for his work on Civilization II. This is a game where you can choose from one of seven nations as you guide them from the Stone Age to the Space Age, while battling other players from all over the world in hopes of being the dominant nation in the game. So with that out of the way, we won’t waste your time any further as we get to the two ways you can get an extra catapult in the game. The first thing to do to get your third catapult is to build the Library. The next thing to do would be to research Machinery down to Chapter 3, and once that’s done, the option to build and set up a third catapult for your base would become available. See what we mean? If it sounds perfectly legal, that’s because it is. Again, this tip will make use of the Library, as you can increase the count of Watch Towers on your base by researching Watch Towers knowledge. You can start building an extra tower at Chapter 1, so this really won’t take you much time at all. If you’re looking for more DomiNations tips, we advise you to check out our guide on defensive strategies, a collection of hints on how to get more free crowns and a description on the different types of troops in the game. Furthermore, if you’re just starting out in the game, you should check out our guide on the seven playable nations.